The Flaming Fish serves a generous selection of food items. We truly have something for everyone, even for those who don’t like seafood. After all, we want every Buffalonian to taste The Flaming Fish difference! 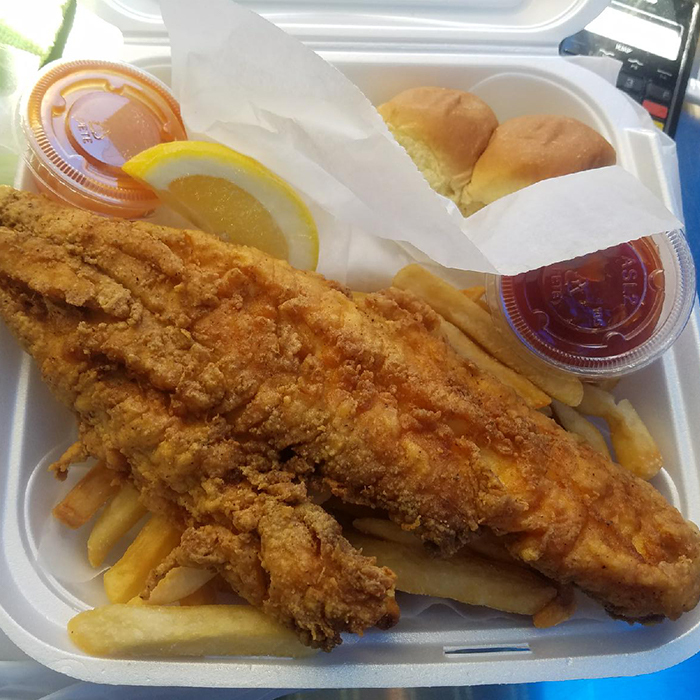 Some of the delicious food we have includes fried Haddock, battered fried shrimp, and seasoned tilapia. Please take a look at our menu below. 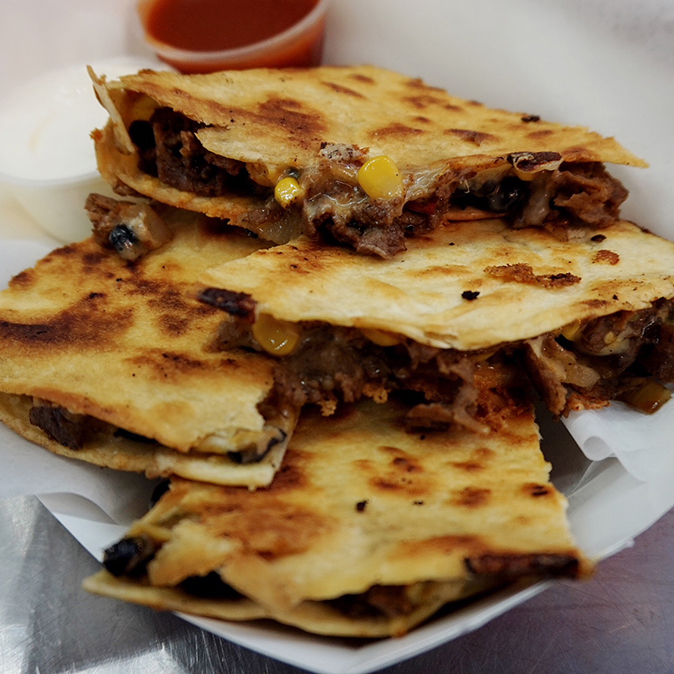 We provide lunch and dinner for Buffalo, NY and surrounding areas. Our specially seasoned and cornmeal dusted fried Haddock with your choice of two sides and a dinner roll. 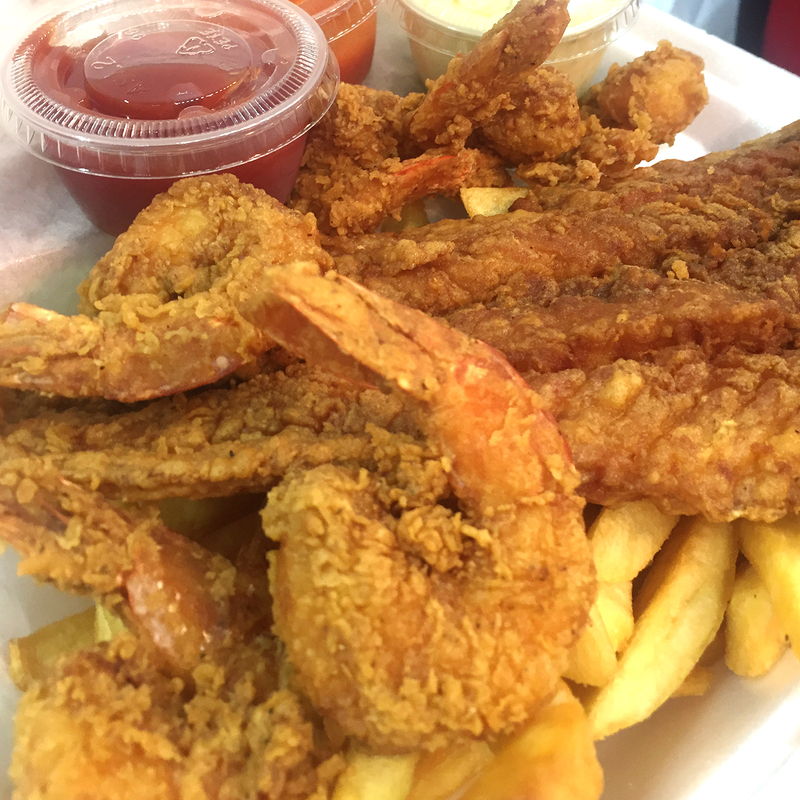 Comes with our specially seasoned fried haddock, five shrimp, your choice of 2 sides and a dinner roll. 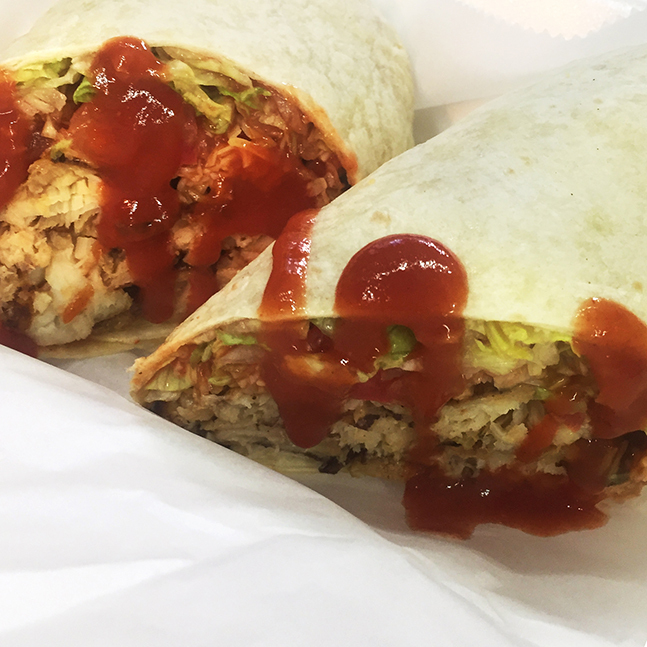 Your choice of grilled or fried specially seasoned tilapia, shredded lettuce, tomato, and a mix of shredded cheeses, topped with our special taco sauce served in a 12” flour tortilla. 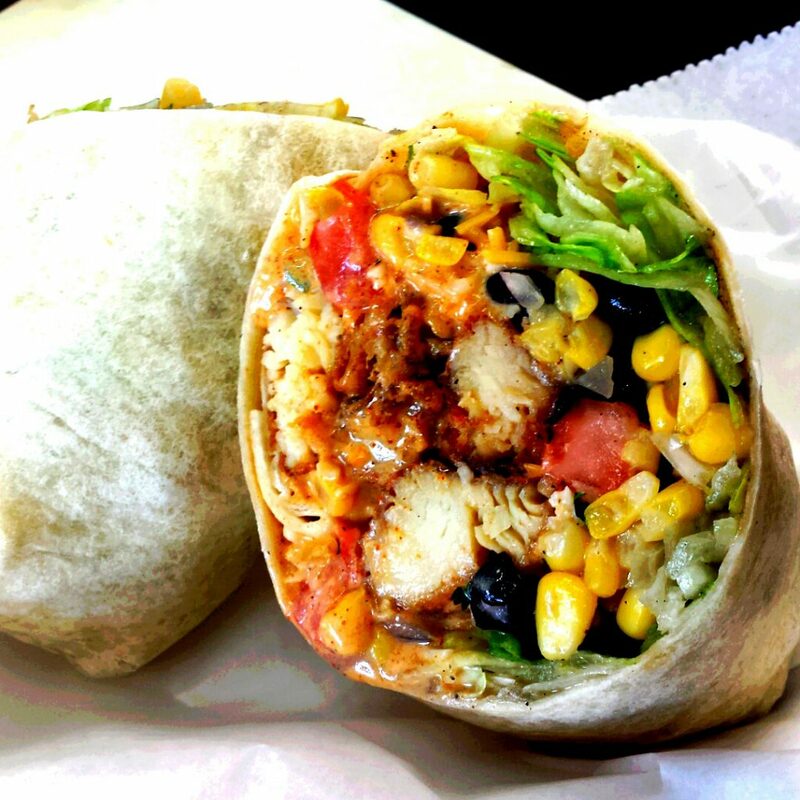 Your choice of grilled or fried specially seasoned tilapia, shredded lettuce, corn salsa, (corn, black beans, tomato, cilantro and lime juice), topped with our special Fiesta sauce served in a 12” tortilla shell. 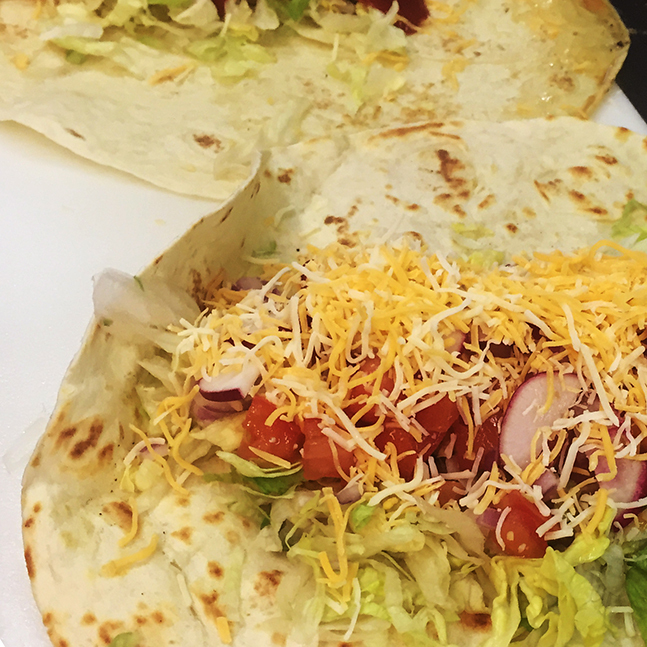 Your choice of grilled or fried seasoned tilapia, lettuce, tomato, red onion, radish and shredded cheeses, topped with our Hammerhead sauce served in a 12” flour tortilla. 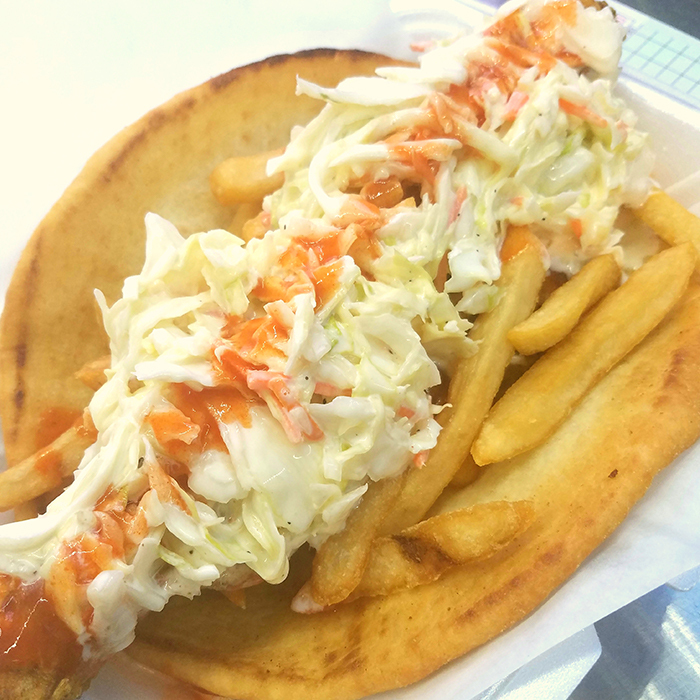 Your choice of tilapia or haddock served on flatbread layered with french fries, coleslaw, and drizzle of hot sauce. Our specially seasoned and cornmeal dusted haddock with lettuce, tomato, and American cheese, dressed to your liking and served on a toasted Costanzo’s roll. 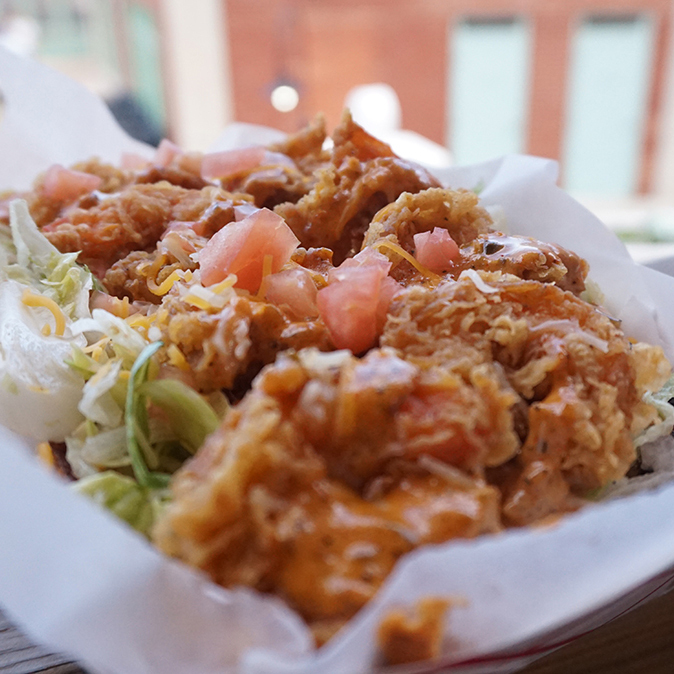 Our specialty seasoned fried shrimp with lettuce, tomato and a blend of shredded cheeses with our special Po’boy sauce served on a toasted roll. Select either seasoned chicken breast, sirloin steak, fish, veggies or shrimp (additional $2). 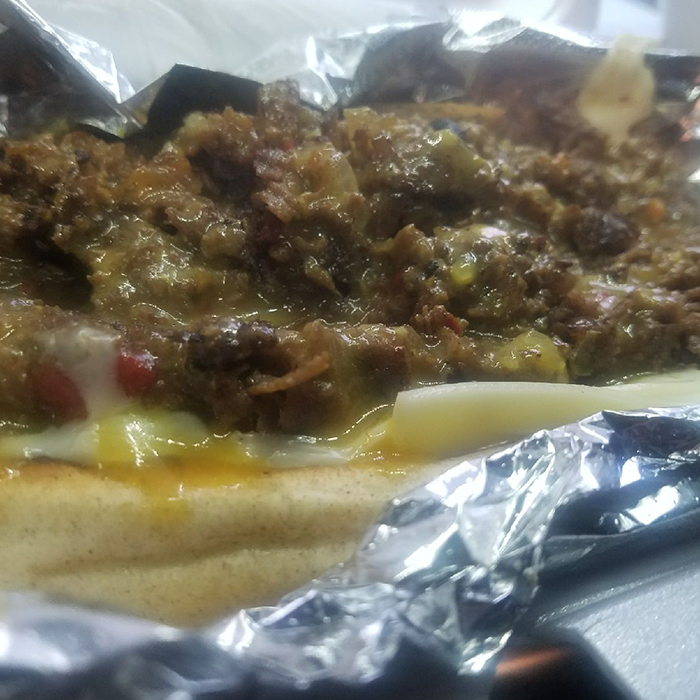 Each selection includes your choice of protein, sautéed red and green bell peppers, onions, corn, and black beans, topped with a mix of shredded cheeses grilled to perfection on our flat top. Select from either seasoned chicken breast, sirloin steak or veggies. 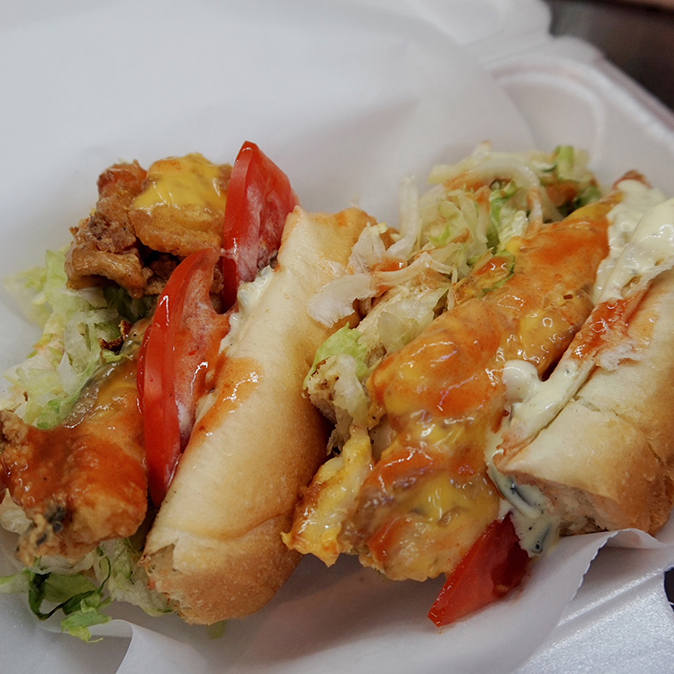 Finely chopped with sautéed onions, cheese, and our special Hoagie sauce served on a toasted Costanzo’s hoagie roll. Our very own creation! 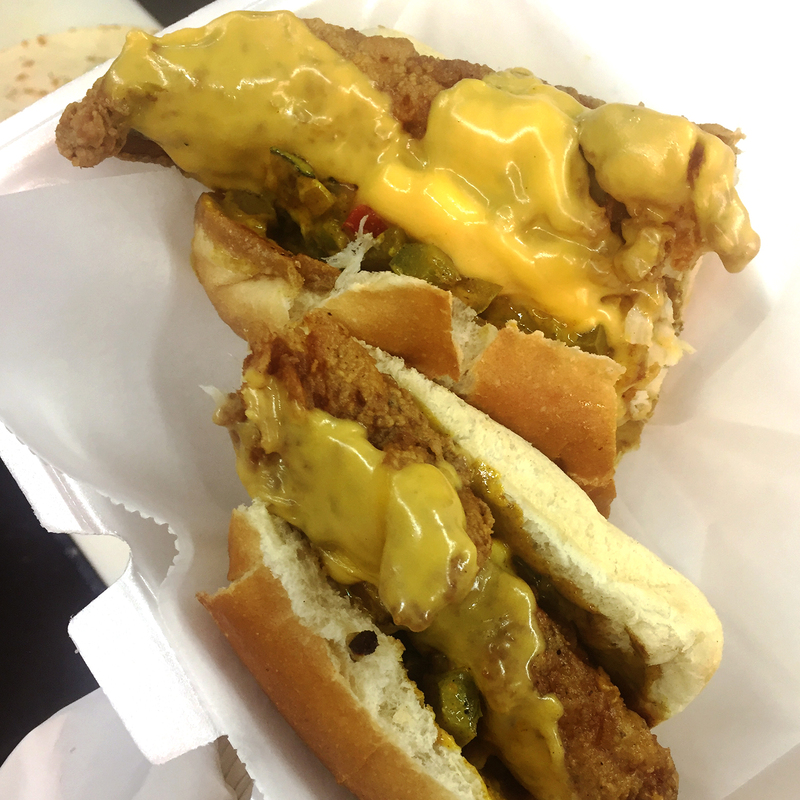 Our specially seasoned and cornmeal dusted fried haddock, sautéed red and green bell peppers, onions, and melted American cheese topped with our secret Fish Hoagie sauce served on a toasted Costanzo’s hoagie roll. Please keep an eye out for our weekly special. Our special will consist of an item that is not regularly featured on our menu. Our desserts are all made daily! Check it out at our truck or call and ask what today’s dessert is!